How Much is my Antique Rug Worth? It was just one of those things you never thought much of growing up, but it was always there — quietly serving your family through the years. Your mother’s antique rug was the centerpiece of her collection. It was the gathering spot for many holidays. It was your favorite place to play with your dolls. It protected your child as he learned to walk. 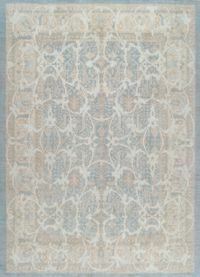 Now this beautiful antique rug is part of your family. It’s important to find an appraiser you trust for the task of evaluating your treasured heirloom. 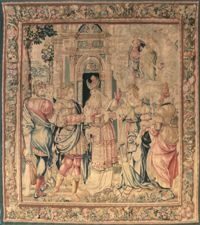 antique rugs, vintage rugs, or European tapestries. Professional rug appraisals are available for a wide range of homeowner reasons whether insuring, selling, or determining the value of inherited property. with several factors weighing heavily into the final cost appraisal. Supply and demand is ultimately the deciding factor as lifestyle and design trends change rather rapidly. Should I get Insurance on my Antique Rug? Persian & Oriental rug expert. There are several trusted professional rug appraisers in Dallas. RenCollection is one. A written appraisal will establish the value of your antique rug for insurance purposes. Always check with your insurance company for the best way to insure your rugs and what documentation will need to be presented.